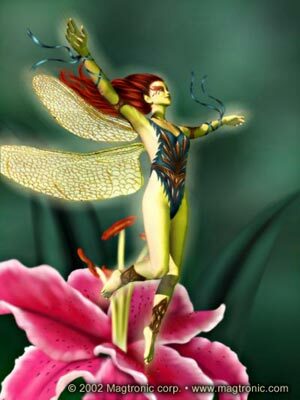 The fey are commonly known as Fairy. The Fay are a winged race of humanoids. They are between five and six feet in height and very slight of build. The Fey do not live as long as the other races on Kylindra. In fact the average Fairies life span is only a quarter of that of the other races. In spite of this, or because of it, Fey are emotional creatures. They live for the moment experiencing as much of life as they can with each breath. It is rumored among the other races that the Fey never sleep, this is in fact not true. They do sleep but not for extended periods like the other races. The Fey sleep many times a day but only for a minute or two, always waking instantly and resuming whatever they were doing before sleeping.